Pendant lighting is the most common light fitting, and has been historically for a while! It can be said that it originated from before electricity existed when groups of candles were being carried. Even nowadays, in chandeliers there are many designs that try to reproduce the design of how candles were being carried. The category of pendant lighting is so wide; it covers from a cheap paper globe to a costly crystal chandelier. 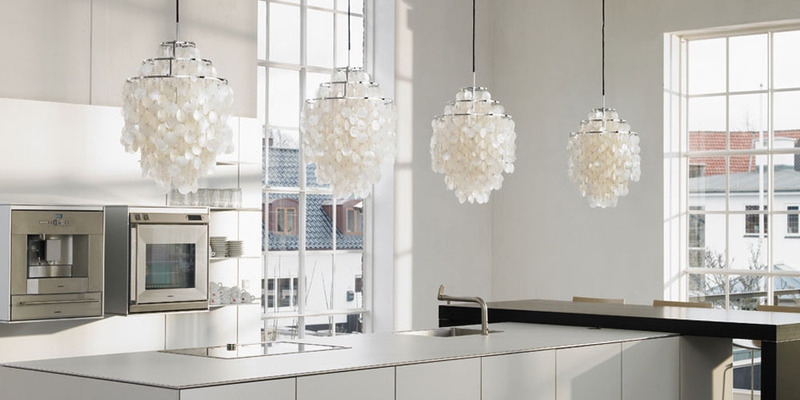 With all the different variations of pendant lights, the style and light omission are reliant upon each other – the light a pendant can give off changes depending on the style of it. There are limitless designs of pendant lighting, but the material a fixture is made from, the size of any openings in the fixture and the way the openings have been designed in the light will all also affect how much light is given out. More importantly than any of that, the size of your room will affect your light. This isn’t something anyone immediately thinks of when they are looking to buy a pendant light fixture, but this is arguably the most important thing and the information you need first before you start looking at lights. The bigger the room you have, the bigger the light fixture you need to best light that room. On another of our websites, we have a blog article which goes into detail about how you’d work out the size light for the size room. Click here to read more. As well as room size, ceiling height is also a factor which would change the style and design of the light fitting you would need to look at. There is the rise and fall fitting which allows lights to be changed so that they will accommodate to the space – they can be high slung or low slung as required. This fitting is most often used above dining tables. The elderly or those who struggle with mobility will also like this fitting because the light will move to them as opposed to them having to move to it. A similar fitting to this that is currently rising on the market is the winch. To see our full range of winches available click here. 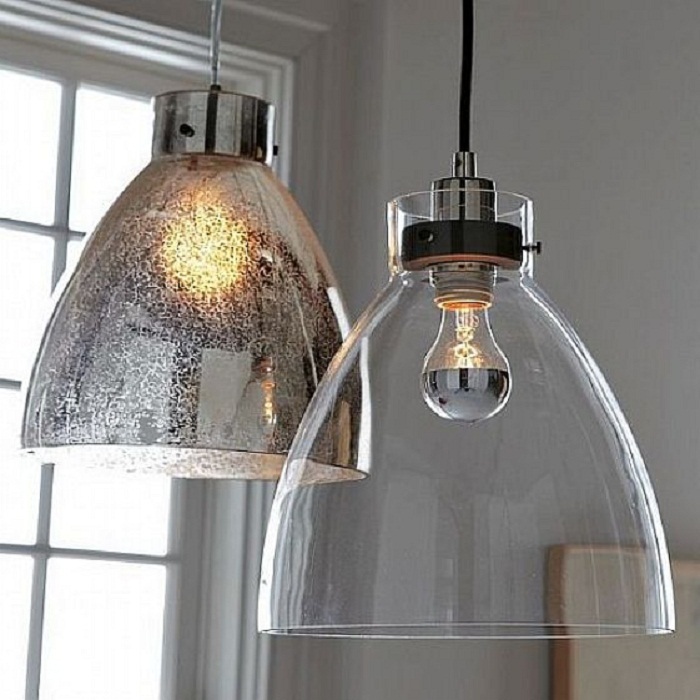 The most common bulbs used in lighting nowadays are compact florescent or halogen (for our full range of halogen bulbs head to our sister website Saving-Light-Bulbs) and because pendant lights can often be the only light source in a room, they are usually of quite high wattage, but because this uses a lot of energy. LED’s are being used increasingly more frequently because they are cost effective when it comes to using electricity. Some pendants only produce a downward light, this can usually only be used for decorative purposes or to light a certain area. 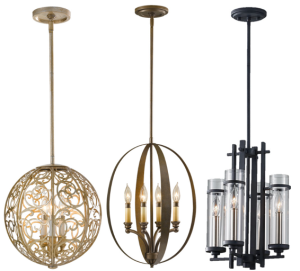 The best pendants are the ones that give off light in more than one way, for an example of one of the pendants we sell that lights in more than one way click here. However because they are have become seen as the norm, and the norm being that you hang a single pendant from the centre of a room, this doesn’t necessarily mean this is how best to light up a room. This is because it doesn’t light up a room to match a mood, irrelevant if it has a dimmer or not, and it would cause there to be shadows across the room because of the way it hangs. All is not lost though because sometimes this can be changed with just having additional light in the room where there might be glare, or shadow or where you need the extra lighting for a specific area. Even thinking about putting the pendant off centre can make a huge different to how a room is lit up. Where to position your lighting is another factor to take into consideration when deciding what style of fixture to have and what aspects of a room you want illuminated. Rooms or areas with high and large ceilings are where pendant lighting could be used to your advantage and can be made into a feature. They can lengthen so as to make them into a feature and fill up any space. Along these lines, you can also hang a pendant above a dining room table to fill the space above a table but also make sure the table is illuminated below. The only thing to bear in mind when thinking about doing this, if the light is going to be in an area where people are going to be walking underneath it, the light has to be a minimum of 198cm from the floor. Overall it is important to make sure your style stays consistent through your lighting. If your central hanging pendant isn’t giving off enough light, you need to make sure you are matching up your schemes and styles. And don’t forget to head over to our guide for finding out what would be the best pendant size for the size of your room. We have a few pendant lights on our website – more will be coming, but please have a look and if you have any queries or questions do get in touch. Click here to see our pendant lights.